The Tampa Aquarium had so many fish we had never seen before! The girls thought the huge spider crab was cool while Vinny checked out the boxfish! Sal loved the turtle exhibit and Nick stayed true to his ducks. Santa brought XBOX360 to our nest on Christmas Day! Merry Christmas from our Nest to Yours! The kids took Guido to Oxbow for a nature hike. 30 minutes of doggie-cise equaled a 3 hour nap for him! As 2010 comes to a close, so does our Universal passes... we had a great time! As another year comes to a close, we remember the highlights of 2010. 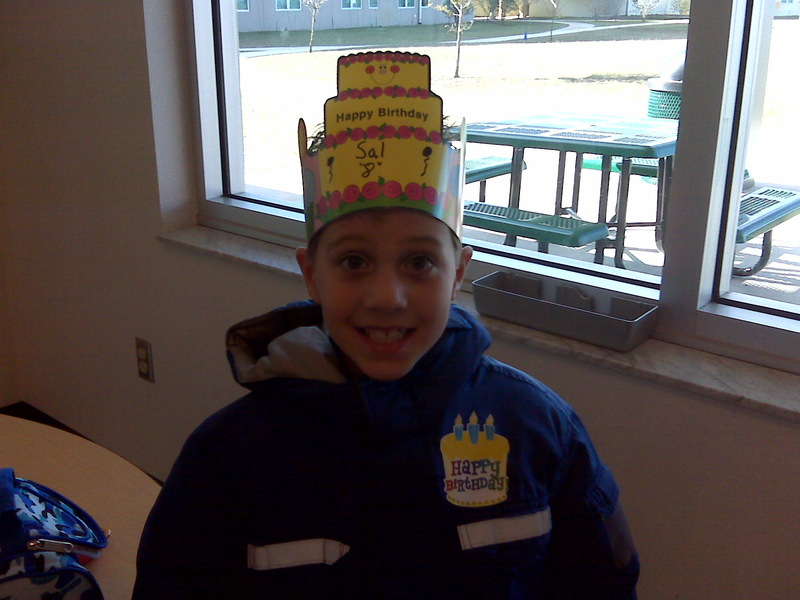 Vinny celebrated his 10th birthday in July and started 4th grade! He continues to strive for success everyday. He joined the golf team and earned many awards this year. Emma's first visit to Shriner's was successful and we wait for our surgery date. We celebrated her 1st 'gotcha date' in August. 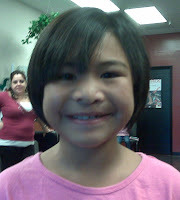 She started 3rd grade and continues to grow everyday. Sal and Kelli started 2nd grade! Sal continues to be a superstar in class and loves his teacher. He turned 8 this month and still doesn't mind sharing December with Christmas. Kelli has become a 'spelling bee' and reads a chapter-book a day! We celebrated 3 'gotcha years' in November. She is looking forward to kicking off the birthdays in 2011. Nicholas celebrated his 5th birthday in May and started kindergarten. He is beginning to read and can write 3 sentence stories! He still has "Quackers" and always looks for more. Jacomo got a playmate... 2 year old Guido, a doberman/hound mix. We still aren't sure if Jacomo wants to return his gift, but Guido loves being here! New Do's for the New Year! 3rd grade put on a wonderful holiday concert with the middle school band and chorus. Nothing like best buddies watching their big sisters sing at their Holiday program! 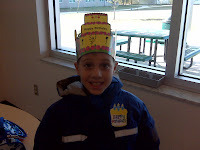 Sal's 8th birthday celebration started at school with cupcakes and a crown, followed by some boytime and cookies at home! Happy Birthday Salvatore, we love you!